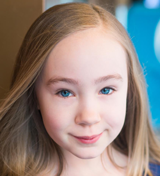 DELILAH ROSE PELLOW (Little Anastasia/Alexei) Broadway: Anastasia (Little Anastasia/Alexei Romanov), National Tour: How the Grinch Stole Christmas the Musical (Cindy Lou Who), TV: “Bull.” A big thank you to the Anastasia creative team, Telsey casting, and Nancy Carson. Love and gratitude to all involved in this beautiful production both on Broadway and Tour, to all who have shared in her journey, and to her family. 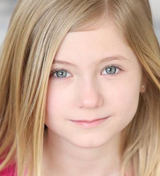 ADDISON MACKYNZIE VALENTINO (u/s Little Anastasia/Alexei) is thrilled to be making her National Tour debut at age 8! Local New York theater: Annie (Annie), The Little Mermaid Jr. (Ariel), Miracle on 34th Street (Henrika).